Fruit - how important is it? 2. What kind of fruit? b. Fruit seeds or fruit pulp? a. Digression - do ekkies have longer intestines? 6. Is fruit fiber better? f. Do wild parrots eat vegetables? We're often advised to feed our birds plenty of fruits and vegetables, and it's recommended that we humans eat a lot of it too. But fruits and vegetables are not created equal, and vegetables are nutritionally superior. Veggies tend to be higher in vitamins and minerals, while fruit is higher in sugar. Veggies also have a stronger impact on longevity, in humans at least (Washington Post). So it's best to focus on getting our birds to eat vegetables, and view fruit more as a treat. When we talk about fruit, we usually mean the sweet juicy fruits that we find in the supermarket, which have been changed by centuries of selective breeding into something that is usually very different from the original wild fruit. There are several different categories of wild fruit, which can be radically different from supermarket fruit, and quite different from each other in their nutritional composition and other characteristics. So when we hear that a certain parrot species eats fruit in the wild, we need to ask: what kind of fruit are they eating? And what part of the fruit are they eating? The answers might be something very different than what we're thinking. "fruits vary widely in size, nutrient content, numbers and sizes of seeds, toughness of fruit coat, and presence of toxic compounds... The energy and protein content of fruit is extremely variable and generalizations are difficult. In general, the nutritional value of fleshy fruits diverges into two categories: nutrient-dilute and nutrient-dense." "Nutrient-dilute fruits usually have a relatively indigestible exocarp (skin) and a large proportion of seeds, although domesticated forms have been bred to have few or no seeds. The pulp contains large amounts of water and, on a dry-matter basis, is high in carbohydrates and low in fiber and amino acids. In general, the most striking nutritional characteristic of these fruits is a very high ratio of energy to amino acids and other nutrients"
In plain English, these nutrient-dilute fruits have a disproportionate number of sugar calories and not that much of anything else. This is the type of fruit that we find at the grocery store. Palm fruit is a nutrient-dense fruit that is a popular parrot food wherever palms and wild parrots are found together. This is the fruit that red palm oil is made from. Unlike sweet fruits, palm fruit is high in fat and low in carbohydrates. The charts later in this article show how dramatically different it is from the domesticated sweet fruits eaten by humans. It's interesting that mammals and birds have different tastes when it comes to sweet fruit. Of course they're talking about birds that are interested in eating the flesh of the fruit, not seed predators like parrots who are likely to collect the fruit before it's had time to produce much sugar. Amazing. The relatively low level of nutrients in fruits might actually be a clever plot by the plant to make a bird (or other animal) go somewhere else for a while to find something else to eat, and drop some undigested seeds while it's there. The sugar calories alone are probably enough incentive to get an animal to take the bait, and anything else in the fruit is probably there because the plant couldn't produce the fruit without it. But sometimes the parrots manage to foil the plant's strongest defenses. Check out this amusing paper by Filardi & Tewksbury about palm cockatoos eating (and destroying) otherwise-unavailable seeds by picking them out of cassowary poop. The cassowary ate the fruit first, processed the part that the cockatoos couldn't manage, and excreted the seed. This is a happy outcome for the plant - intact seed is now sitting on the ground in a nice pile of fertilizer But then the cockatoos came along and finished it off. Fruit seeds or fruit pulp? Wild birds eat primarily to meet their energy requirement (CAN page 129). So when they're seen foraging on nutrient-dilute fruit, the question arises of what they're really after. The seeds are the most nutrient-dense part of any plant, in terms of calories at least. So when a fruit has edible seeds, it often makes more sense to eat the seed than the fruit. This does happen a lot, and fruit seeds seem to be more popular with wild parrots than fruit pulp. Even the fig parrot - a bird named after a fruit - eats fig seeds as their primary diet, not the fruit pulp (Australasian Zookeeping). "When foraging parrots other than lories and Pesquet’s Parrots target fruit, they may consume pulp but at least as often they discard it in favor of the seeds inside. Moreover, parrots eat seeds when the fruits are unripe and therefore before seeds are ready for dispersal. "Parrots of the 17 species observed in this study fed from a total of 102 species of plants... Parrots fed from both reproductive and non-reproductive parts of these plants, but by far most plant species (92%) were exploited for their reproductive parts... For 56 percent of the plant species exploited, seeds were consumed directly... Parrots foraged on unripe fruits and seeds of 21 percent of plant species exploited. "Parrots ate the whole fruits only of 15 percent of plant species exploited. Of the plant parts used by parrots, protein and lipid levels were relatively high, as were fiber levels. Seeds contained significantly more protein and lipid and less fiber than other plant parts... Seeds averaged 19 percent protein, compared to 9 percent for whole fruits, and 7 percent for fruit pulp. Similarly, seeds averaged 11 percent lipid, compared to 5 percent for whole fruit and 2 percent for fruit pulp. In contrast, seeds averaged 16 percent fiber, compared to 46 percent for whole fruit, 22 percent for fruit pulp, and 40 percent for other plant parts." Page 42 of Parrots of the Wild (by one of the same authors) adds "Over 80% of the plant parts selected by these species were seeds and fruits in various stages of ripeness, with fruit pulp itself not being an obvious target." Matuzak et al found that "Parrots eat ripe and unripe fruits, and many species consume large amounts of immature and mature seeds." Page 48 of Parrots of the Wild, commenting on this paper, reported that the larger parrots were more likely to eat only the seeds, while smaller parrots were likely to eat both seeds and pulp. Large macaws ate the seeds alone in 70% of the observations and fruit pulp in only 10%. The two smallest species in the study ate seeds alone 25% of the time, and ate at least some fruit pulp in 50% of the observations. Ripe or unripe? There were several mentions of parrots feeding on unripe fruit in the previous paragraphs. The consumption of unripe fruit is probably geared mostly toward eating the seed, not the pulp. Parrots are seed predators who destroy seeds instead of spreading them to new places where they can grow. So no plant in its right mind is going to put out delicious fruits in order to attract parrots. Getting sugar calories is the primary reason that wild animals eat ripe sweet fruit, since it doesn't contain a lot of other nutrients. But unripe fruit is not sweet, and is frequently bitter and nasty. The sugar develops in the last stage of ripening, because that's the point where the plant 'wants' the fruit to be eaten. Foraging on unripe fruit is a smart competitive move for birds who mainly want to get at the seeds and are not very interested in the rest of the fruit. If they wait until the fruit is ripe, something else may eat it before they do. Taking the seed before the fruit is ripe enough for any other animal to want it also saves the parrots from the risk of fights with other species, for example a large monkey who doesn't want to share the fruit. Eating unripe seeds might be a smart nutritional move too. There's almost no information available on the nutritional differences between unripe seed and mature seed, but the evidence that we've got indicates that unripe seed is superior in at least some respects. Unripe grass seed had higher-quality protein than ripe seed (Allen & Hume). Unripe fruit seed also has better protein than ripe, and the buds of flowers and leaves are also a desirable protein source for many animals (White). Tony Silva on Facebook says that wild parrots aren't big consumers of ripe fruit. He's an ornithologist/aviculturalist who was the curator at Loro Parque for a few years. And yes he did get in trouble for smuggling, but that doesn't affect the soundness of his knowledge. "for every 6 vegetables types I feed one type of fruit. This is because wild parrots feed predominately on unripe fruits. They do this to avoid competition with mammals (particularly primates and bats) and frugivorous birds, including toucans and hornbills. The unripe fruit is low in sugar and often bitter and astringent. Commercial fruits have been produced to become ultra sweet. This is easily proven: bite into a wild apple and then a commercial apple. I am sure the unpleasant taste of the first will be pervasive. The extremely sweet cultivated fruits should thus be avoided. If you feed fruits, select tropical varieties which are nutritionally superior to temperate fruits like apple, pear, grapes and cherries, or choose types that are less sweet, such as the heirloom cooking apples, or select fruit that are not yet ripe; the ripening process boosts the sugar content. I prefer to feed vegetables and greens and use fruit as a treat." The first chart below illustrates the dramatic difference between nutrient-dense fruit (palm fruit) and the nutrient-dilute fruits that we humans like to eat (everything else listed in the chart). Tropical fruits are generally considered to be more nutritious than temperate-zone fruits, so they make up most of the comparison. To be fair, the nutrient content of the sweet fruits is skewed by their high water content. So I included a comparison between fresh and dried versions where information was available. There's still a huge difference between palm fruit and sweet fruit even after we've leveled the playing field this way. The discussion below focuses on the palm fruit from Elaeis guineensis, the African palm species that red palm oil is made from. It appears that palm fruit in general is a fatty fruit, not sweet, but there are considerable variations in the nutritional content of palm fruit from different species. Keep in mind that the wild diet has the wrong nutrient balance for a pet bird (see separate article), and you shouldn't feed your bird a high level of fat or sugar no matter what the wild birds are eating. But when you hear that a particular wild bird eats fruit, the comparison below clearly shows that you shouldn't assume that this fruit bears much resemblance to cultivated fruit. For a wild parrot, high-nutrient high-fat fruits are a better nutritional bargain than low-nutrient high-sugar fruits. When they do go for a low-nutrient fruit, in many cases it's really the seed that they're after, and the fruit pulp is an incidental item that may or may not be eaten. I estimated some of the amounts in the chart, because official data was unavailable but there was enough information to make an educated guess. These estimated amounts are in light purple to make them identifiable. Note: There isn't a USDA standard analysis for palm fruit since humans generally don't eat it, and the two available sources have some significant differences. The nutritional analyses for palm fruit gave the carotene content in µg (micrograms), not their Vitamin A content. I converted this to Vitamin A in the chart using the USDA formula of mcg*1.66=IU. However, the conversion rate is due to change drastically in 2018, to mcg*20=IU. Most of the sweet fruits use the USDA values from the NutritionData website, with the serving size changed to 100 grams. The vitamin E content of palm fruit was estimated using the Vitamin A to Vitamin E ratio shown on product labels for red palm oil. The vitamin and mineral content of dried mango was estimated using the percentages at Fitday for a 100-gram serving and the FDA's Daily Values chart. The next chart shows how high-fat palm fruit compares to some high-fat seeds and nuts. As expected, palm fruit beats them significantly on Vitamin A, since palm fruit is a rich source and seeds and nuts are deficient. But the seeds and nuts beat palm fruit significantly on protein, which is harder to obtain in the diet than Vitamin A is. Now let's see how high-carbohydrate sweet fruits compare to other high-carbohydrate foods, namely vegetables and grains. For easy comparison, the chart below groups the fresh fruits together with the high-moisture vegetables and the dried fruits with the low-moisture grains. In general, the vegetables blow the fresh fruits out of the water for most nutrients, despite having a higher water content than the fruit. What's most surprising is how poor a Vitamin A source mango is compared to kale or carrots. The grains are superior to the dried fruits for many nutrients but not all, and grains are particularly deficient in Vitamin A. But just look at the difference in the proportion of sugar to total carbs! The fruits have a significantly higher percentage of total carbohydrates to begin with (especially when compared to the vegetables). On top of that, the ratio of sugar to total carbs for the fruits is 50-80%. Carrots are the only item in the vegetable and grain category with a ratio that comes close to the 50% level. Broccoli has a ratio of about 25%, and the others have a negligible amount of sugar. Fruit's high sugar content and relatively low content of other nutrients is the reason that it's less desirable than vegetables. Let's look at the documented fruit-eating habits of African greys as an example of how different fruit eating in the wild can be from the supermarket-fruit experience. Wild African grey parrots are widely reported as including fruit in their diet, and it seems to be universally agreed that they are particularly fond of the fruit of the African palm Elaeis guineensis. It is not clear how much of their diet consists of palm fruit, but a study by Tamungang et al found a high density of parrots on a palm oil plantation during the dry season, while other nearby locations were preferred during other seasons. The study area was in and near Korup National park in Cameroon. A different paper by Tamungang et al provides information on what else they were eating (English translation of abstract). An obnoxiously hard-to-read text-only version is available here. Tell your computer to find "Diversity of food of the Grey Parrot" on the page. The paper reported that the birds ate a surprising amount of flowers, and 20% of the diet came from three flower sources. It isn't clear how much of this was flower buds and how much was fully developed flowers. Flower buds are a rich source of protein, as discussed later in the article. But eating mature flowers probably means that the birds were consuming sugar. The nectar is the most nutritious part of a flower; it's there as a lure for pollinators and is the only part of the flower that the plant "wants" to be eaten. So it would be a bad strategy for the plant to have anything else nearby that was good to eat. The pollen is mostly indigestible and the rest of the flower is low in nutrients. The paper indicates that flower resources were available for about 11 months out of the year, so most of the time the birds wouldn't need sweet fruit if they wanted to eat sugar. In most cases, the fruits that the parrots were feeding on were not sweet anyway, so sugar was apparently not the reason for eating them. Another 26.7% of the diet came from four seed sources, and 53.3% came from seven fruit sources. Only one of these seven fruits looks similar to our idea of a sweet, juicy tropical fruit; the others were fatty fruits and/or their taste appeal ranged from not being very good to not being considered edible at all by humans. Unfortunately, in most of the fruit-feeding cases the paper did not say whether the birds were eating the fruit pulp, the seed, or both. There also wasn't information on how much of each specific fruit the birds were eating or how the different fruits ranked in their food preferences. It was specified that the birds were eating the pulp in one case and the seed in another, and the rest are unclear. But enough information is available about the fruit that we can make a reasonable guess in some cases. Alstonia boonei. There is nothing on this tree that is considered edible by humans, although its wood is useful and some parts have medicinal uses (Useful Tropical Plants). A study on wild animals found that the guenon (a type of primate) was the only frugivore that would eat the fruit of this tree. Several other frugivores including two types of birds (hornbills and turacos) didn't eat it, and neither did colobus monkeys or chimps (Seed Dispersal and Frugivory). It's likely that the parrots were after the seeds, which apparently grow in pods that we humans would not normally consider to be a fruit. Macaranga spinosa. This is another tree that is completely inedible for humans but has other uses (Useful Tropical Plants). It's also another tree where it's most likely that the parrots were after the inch-long seed not the fruit pulp, but this one could go either way. Primate Ecology reports that chimps eat the bark but not the fruit, although Wildpro says that bonobos eat the fruit. Favier et al says that the fruits and seeds are small enough to be eaten by birds, but they don't say what kind of birds. Dacryodes edulis aka butterfruit. This is the kind of high-fat fruit that we DON'T think of when people talk about tropical fruit, because it's more like an avocado than a pineapple. It's highly edible for humans and is grown on plantations for its oil. It's reported that oil makes up 33-65% of the pulp. It also contains 7% protein which is high for a fruit (20-30% by dry weight) and has a lysine content similar to that in animal protein. There's plenty for a wild bird to like in this fruit, and it's likely that the parrots were eating the fruit pulp (Useful Tropical Plants, Lost Crops of Africa, Wikipedia). The seed kernel is also rich in oil so they may have eaten that too. Dacryodes microphylla. Although this tree is in the same genus as butterfruit, it appears that the fruit is very different, and is the closest thing on the list to the tropical fruit at the grocery store. Information is sketchy, but the fruit is described as juicy with a delicious sweet/sour flavor (Lost Crops of Africa). The fruit pulp is the only part of this tree that is used by humans (Plant Use; English translation). The paper's only suggestion about the wild parrots' food preference was the statement that "during seasons with poor plum yield, the parrots consume more Macaranga spinosa and Elaeis guineensis." It's not clear what they mean by "plums" since they don't use this word anywhere else, but it seems likely that they mean Dacryodes microphylla. B&T World Seeds says the fruit is similar to black plums. It seems likely that the parrots were eating this fruit for the pulp (assuming that they waited until the fruit was ripe, which was not specified in the paper). There's no word on the edibility of the seed, but it's possible that the parrots ate that too. This fruit is only available for four months out of the year, from June to September, so the parrots' window of opportunity to eat sweet juicy fruit is pretty limited. Elaeis guineensis. Here's the palm fruit! It was discussed extensively earlier in the article, but I'll reiterate: it is a high-fat fruit that has very little in common with juicy tropical fruits like mango and papaya. Humans make oil from both the fruit and the seed (Useful Tropical Plants). Greys eat the flesh but apparently don't eat the seed (Parrots Daily News). This was the only food source that was available to the parrots all year round; the others had more limited availability, with most available for only 3 or 4 months out of the year. But the availability was staggered enough that the birds had three to eight food sources available in any given month. Pycnanthus angolensis. The paper specifies that the parrots ate the seed of this fruit, and even included a picture showing the uneaten fruit pulp. The pulp looks more like a piece of wood than a nice juicy mango. This tree is a member of the nutmeg family, and the fruit has cartilaginous flesh that dries woody (Wikipedia). Chimpanzees will eat the aril of the fruit but it is too bitter for humans (Mahale Chimpanzees). Humans sometimes use the seeds as a spice. The oil from this fruit is considered to be inedible although it does have non-food uses (Useful Tropical Plants). Blighia welwitschii. The paper specifies that the parrots eat the aril attached to the seeds. This aril is the only part of this fruit that is edible because the seed and skin are toxic. The arils themselves are toxic when they're unripe but are safe enough when the fruit is so ripe that it splits open. The aril is only a small part of this fruit, which has large seeds and a woody skin. The aril is considered to be edible for humans, with a rather low edibility rating of 2 out of 5 (Useful Tropical Plants, Plant Use). A related species, B. sapida, is considered to be more desirable and is sometimes grown for commercial fruit production (Wikiwand). I couldn't find a complete nutritional profile of B. welwitschii, but Lamperti et al indicate that it's 65% water, which is slightly less than the water content of an avocado. It has 20% crude protein, which is very high compared to the other fruits on the list. The carb and fiber content was too confusing for me to figure out but is sort of in the midrange compared to the other fruits on the list. The fat content wasn't listed so presumably it's a number too close to zero to be worth mentioning. It's not particularly juicy and apparently not particularly sweet. There's no word on the protein quality, but if it's any good that would be an obvious reason for the birds to eat it. Its cousin B. sapida is a straightforward high-fat fruit (Goldson et al). It appears that for humans, B. welwitschii is used more for medicinal purposes than as a food source (African Indigenous Vegetables). But PROTA4U reports that in Gabon, it is a favorite food of the African grey parrot. Trivia time - this tree's genus was named after Captain Bligh of the HMS Bounty. An infamous mutiny didn't stop him from getting botanical credit. Albizia gummifera was listed as a seed source in Table 1 but described as a fruit elsewhere in the paper. It's a fruit in the botanical sense but comes in the shape of a flat seed pod that we wouldn't ordinarily describe as a fruit. The parrots ate only the seeds. The other seed sources (Dialum guineense, Ceiba pentandra, and Treculia africana) are also technically fruits, and Treculia africana is better known as the breadfruit tree. This illustrates the pitfalls awaiting us when we talk about fruit consumption by wild parrots. A botanist's definition of a fruit is not the same as the common definition. There's another paper by Chapman et al that describes a 10-week feeding frenzy by a large flock of CAGs in Uganda on the fruit of Pseudospondias microcarpa. The food resource is repeatedly described as fruit, but the birds only ate the seeds and threw the fruit pulp away. Which is ironic, because for human consumption it's described as a sweet fruit with enough juice to stain the fingers (Useful Tropical Plants). But that sweetness has an unpleasant edge to it, because the flavor is also described as resinous and astringent. Raw foodist Frederick Patenaude says the tannins leave one with a furry sensation in the mouth. Maybe humans can tolerate the tannins better than the parrots could. Because of these issues, humans usually eat this fruit in small quantities as a snack, and sometimes eat the seeds as well. It is occasionally cultivated for the edible fruit (Mansfeld's Encyclopedia). The common name is African Grape, although there are apparently several other fruits that are also called by that name. Eclectus parrots are one of the most extreme members of the parrot family. The color difference between males and females is so dramatic that it was initially believed that they were two different species. Their double-polygamy mating system, where each bird has an average of 7 mates, is certainly unique. Their diet is different from the others too. Most parrots are classified as granivores (seed eaters) or omnivores (everything-eaters), but ekkies are frugivores (fruit eaters). This is one bird where it looks like they really do eat a lot of sweet fruit that wouldn't be out of place at the supermarket. But you shouldn't assume that anything in this section applies to any other species. Ekkies tend to not do very well on a diet that's perfectly fine for most other parrots, and the reverse is probably also true. It seems obvious that feeding a granivore's diet to a frugivore could be problematic, since a frugivore is designed for a different type of food. It doesn't necessarily explain every quirk in the relationship between ekkies and diet, but it goes a long way toward helping us understand the probable source of the problem. A species that evolved for a diet of nutrient-dilute food like sweet fruit has to be super efficient at extracting the few nutrients that are in the food, and they might also have developed a lower requirement for certain nutrients. Give them a lot of nutrient-dense foods like seeds, nuts and grains, and there's likely to be trouble. You shouldn't feed a lorikeet like a granivore either because they aren't granivores - they're nectarivores. So how frugivorous are ekkies? There isn't any formal documentation that I can find, but it seems to be generally agreed that they really are frugivores and not something else. Sugarloaf Animal Hospital says "They are not obligate frugivores, but as much as 80% of their wild diet is reported to be fruit in some ecological studies." An obligate frugivore is an animal that requires a lot of fruit in the diet to survive, while an animal that eats a lot of fruit but doesn't actually require it would be a facultative frugivore. I couldn't find the studies or any reliable information on whether or not their frugivory is obligatory or not, but Parrots of the World (Forshaw) mentions three sources that reported lots of fruit-eating by ekkies. The book gives the authors' names, which are 1. Toxopeus, 2. Cain & Galbraith 1956, and 3. Hoogerwerf. The references are apparently too old and/or obscure to show up on the internet. The best information that I've found is a Youtube slideshow presentation by avian veterinarian Rob Marshall titled "Exploring the Wild Diet to Solve Functional Digestive Disorders in Eclectus Parrots". The format is inconvenient - there are 38 short clips that have to be navigated while trying to read the notes below the video before the clip ends. So I'll report the most significant parts here. Be aware that there are always limitations in studies on the diet of wild birds. Observational studies that don't include an analysis of crop contents can only tell us part of the story. Dr Marshall is an avian veterinarian not a biologist. We don't know where he made his observations or how well they measure up to official scientific standards. I've been told informally that the location was probably in far north Queensland, which is not easily accessible and requires a fairly major expedition to get there. We don't know how long the observation period was - probably more than a single day simply due to the effort required to get to the location, but possibly not a very long period either since people who have another job usually can't spend too much time off in a remote place. How many birds were observed - a small number or a lot? Observing the feeding activities of wild birds is often difficult, especially when there's dense forest to contend with, and ekkies are rainforest birds. What did they eat when they flew off and went somewhere else to forage? Nobody knows the answer to that, obviously.But in any case the birds' preference for fruit pulp over other foods seems pretty clear, at least for the time period and location where they were observed. The notes to Clip 2 say "Eclectus are classified as generalist frugivores. This means they eat mostly fruit pulp in the wild. We collected and identified rainforest foods known to be eaten by Eclectus. We also discovered new foods. Our findings reconfirmed the frugivory status of Eclectus." The notes to Clip 3 say "Our study divided known Eclectus foods into 4 categories. The first and most important category consisted of fleshy pulp and soft skinned fruits. Most fleshy fruits collected were sugary. Others were clearly lipid. The fruit pulp wild diet of Eclectus parrots is considered nutritionally compromised because of its low protein content. Apart from fruit pulp Eclectus parrots also feed on seeds, aril, leaf buds, blossoms and nectar to satisfy additional nutritional needs." The text on the actual video clip says that fleshy fruit pulp was more than 75% of the diet, and shows pictures of the fruit. Most of it was sugary, but the diet did include some palm fruit which is fatty not sweet. Presumably the birds were mostly eating ripe fruit, since unripe fruit is not sugary. The Clip 4 notes say "The seeds eaten by Eclectus are small. It was expected that the seeds within hard cased fruits would compensate for the low protein levels of fruit pulp. Nutritional analysis of hop bush seeds and red ash seeds was undertaken. Crude protein levels were surprisingly low in these seeds." Clip 5 comments on eating fruits with an aril but doesn't say anything particularly informative. An aril is a bit of fruit attached to a seed that is encased within a larger, inedible covering. Pomegranate is an example of a fruit with arils. The fruits shown in the clip are northern tamarind, red beech, and fire vine. "Although not a major part of their diet, leaf buds, blossoms and nectar represent an additional energy and micronutrient resource during times of limited food supply. Our findings support previous claims that fruit pulp constitutes the major part of the wild diet of Eclectus parrots and that the wild diet is limited in protein. The digestion dilemma of frugivory is to find ways to overcome the challenges presented by this type of nutritionally dilute, protein limited diet. Frugivorous birds solve this problem by eating and digesting large volumes of fruit pulp. This food must move through the gut quickly but also be retained in the stomach for the time needed to fully extract protein from it. Eclectus meet this digestion challenge by morphological specialisations of their digestive tract incorporated with highly regulated foraging behaviours and peculiar eating habits." The actual video clip says "Wild Diet: bulky, watery, sugary fruit pulp; seeds much smaller part of diet; protein limited". Certain species of leaf buds can be very high in protein, and this doesn't seem to be particularly well known. So the birds' protein intake might not be as limited as thought, even though the leaf buds are just a small part of the diet. I've got some additional info on bud protein in the section of this article called "Do wild parrots eat vegetables?" The hens would need a lot of protein during the breeding season to support egg laying and chick rearing. Does the diet change at this time? Do they eat some bugs to provide protein? We don't know. Bug-eating might be harder to observe than a bird that's gnawing on a piece of fruit. Eating insects to supply certain nutrients is a common strategy for nectarivorous birds, which also have a high-sugar diet. The wild diet in general is not appropriate for pet birds because of different nutrient requirements, and this definitely does NOT mean that if you have an ekkie you should mostly feed it sweet fruit. In fact I've heard through the grapevine that doing this can result in sick ekkies. But you do need to be aware that their requirements are somewhat different from those of most parrots, read up on the advice of reputable people who specialize in eclectus, and proceed with caution. This discussion is about WHY ekkies are different from other parrots, and not about the specifics of what you should feed them. Digression - do ekkies have longer intestines? It's generally agreed that eclectus parrots have somewhat different dietary needs than other parrots and often don't do well on diets that are fine for other species. The reason for this isn't really known, but one explanation that's often given is that they process food differently than the others, and one indication of this is that they have longer intestines than other parrots. This seems to be anecdotal information based on a small number of observations. I've heard that one vet did a necropsy and found that the gut was longer, and that a different vet hasn't observed a significant difference, and that's pretty much it. There's simply not enough information available to know whether it's true or not. Ekkie owners are strongly encouraged to feed their birds a lot of fiber, so even if longer intestines are observed it might simply be a reflection of their diet. From Comparative Avian Nutrition by Kirk Klasing, page 113: "The length of the intestines increase with increased food intake or increased dietary fiber. For example, a 34% increase in dry-matter intake by Japanese Quail induces a 43% increase in the length of the small intestine." The book also indicates that the size of the ceca changes (in birds that have them), and the size and strength of organs like the gizzard will also change. It takes a few weeks for these major differences to develop, but there are more subtle changes that can occur over a few days or even in the course of a single meal. Changes in an individual's intestine length due to diet changes are called gut length plasticity, and they have been reported in fish, reptiles, and mammals (Zandonia et al, Naya et al), as well as several species of birds from a variety of families. Presumably it happens with amphibians too; I haven't looked for info on them. When a characteristic is observed in every major branch of the vertebrate family tree, from the oldest to the newest, it's fairly safe to assume that it evolved very early and is very widespread, and it would be an exceptional species that did NOT have this trait. So until we receive information to the contrary, it's conservative to assume that diet influences the gut length of individual ekkies just as it does with so many other species. "These are the key features of Eclectus digestion. A large crop, wide thoracic esophagus and highly elastic proventriculus of Eclectus are morphological adaptations aimed at increasing food-holding capacity needed to accommodate a wet bulky wild diet. More time is needed to physically and chemically digest this increased volume of food in the proventriculus. Less time is required in the gizzard because fruit pulp lacks coarse fiber and seeds have already been broken into small pieces by Eclectus before they are swallowed. After the food is processed into small particle size by the milling action of gizzard muscles it moves into and rapidly fills the small intestine providing an expansive surface area for final absorption to take place. A precise hormonally regulated crop emptying process maximizes the speed of meal digestion by releasing the second part of the meal - retained in the crop - into the proventriculus as digesta moves into the duodenum from the gizzard." The video clip itself notes that there is "rapid movement through small intestine after leaving gizzard" with no mention of any unusual length. At this point I don't think that it actually matters, because "they're frugivores not granivores, stupid" seems like a much better explanation than the intestine-length hypothesis ever was. Ekkies need a diet that's appropriate for their species, not one that's appropriate for granivores. Although lots of fiber is recommended for ekkies, it's questionable whether they actually eat more fiber than other wild parrots do. Sweet fruit pulp seems to be ekkies' primary food. This is the only part of the plant that the plant actually wants animals to eat, and it needs to be easy to digest to insure that it will be eaten. Too much fiber does interfere with nutrient absorption and can cause digestive upset in animals that aren't equipped to handle it, so I wouldn't expect sweet fruit to be especially high in fiber. The granivorous parrots generally eat things that the plant does NOT want to be eaten, so the plant isn't going to cater to their digestive needs when it comes to seeds. It's entirely possible that wild fruit is higher in fiber than domesticated fruit, but I doubt that it has any more fiber than wild seeds do. The short answer is "apparently not". There's no indication that it's worse either. But I have heard claims that the cellulose in vegetables is bad for parrots, and they need the pectin in fruit to maintain the health of their digestive tract. There is no evidence that any of this is true, and plenty of reason to think that it's wrong. Here's the quickie summary for those who don't want to slog through all the details. 1. All plants contain both cellulose and pectin, with cellulose predominating. They're both types of fiber. Any time you eat plant foods you get both of them. 2. Birds and humans appear to have similar abilities to deal with fiber. 3. Fiber in general interferes with nutrient absorption, but an appropriate amount of fiber has beneficial stool-bulking effects that outweigh the minor loss of nutrients. The fruits and vegetables normally eaten by humans have an appropriate amount of fiber. 4. The interference with nutrient absorption becomes a problem when there's too much of any kind of fiber. Many of the plants that are NOT commonly eaten by humans have too much fiber. Most leaves and grasses (including wheat grass and alfalfa) fall into this category. It may be OK to consume small amounts but too much will cause problems. 5. Fruit tends to contain more pectin than vegetables, but there are common veggies that are right up there with the best of the fruits. If you want pectin, carrots and peas will provide as much or more than tropical fruits like mango, and will also deliver less sugar and more of the desirable nutrients. Vegetables and fruit provide the same types of fiber. Fruit tends to contain more pectin than vegetables, but apparently the difference isn't dramatic. The fiber in all plants is mostly cellulose, and they all contain pectin too. So don't worry about either the cellulose content or the pectin content in your bird's diet. If it eats any plant foods at all it will be getting both types of fiber, and is well equipped to deal with the level in ordinary foods. A bird species would not be able to survive in the wild if it was damaged by cellulose and required particularly large amounts of pectin. Cellulose is the primary building material from which plants are made (Science Clarified). Pectin is also a fundamental part of the structure of plant cells (Handbook of Sustainable Polymers). Both are part of the general collection of plant material that we call dietary fiber. Gastrointestinal Microbiology states that "Cellulose, hemicellulose, and pectins are interwoven with each other in the cell wall," showing that these different types of fiber come as a package deal. Data is hard to come by, but among the four main components of plant fiber (cellulose, hemicellulose, lignins, and pectins), it looks like cellulose usually makes up the highest percentage and pectins make up the lowest. Biotechnology of Lignocellulose reports that plant cell walls are mainly made up of cellulose, hemicellulose, and lignins in a 4:3:3 ratio with a small amount of pectin and other materials, although the ratio varies considerably among different types of plants (PDF, book source). It also reports that cellulose makes up 35-50% of cell walls and lignins are 14-25% of the total in herbaceous plants. They don't give percentages for hemicellulose and pectin, but the significant percentage of hemicellulose in plants obviously doesn't leave a lot of room for pectin. Table 2 of Dhingra et al bears this out; it shows that the insoluble fiber in common foods (which includes the cellulose, lignins, and some hemicellulose) is much greater than the soluble fiber (which includes the pectin and some hemicellulose). "Soluble" means that the fiber absorbs water to form a gel in the intestines, and "insoluble" means that it does not absorb water. Neither type is digestible by most life forms, although intestinal bacteria can break down some types of fiber and pectin can be degraded by chemical processes within the plant (Food & Nutrition Encyclopedia, Ndeh et al, Clinical Avian Medicine Chapter 4). But even though dietary fiber is generally indigestible, it seems to be universally agreed that it's beneficial in appropriate amounts. Too much fiber will interfere with digestion, which is why most animals can't digest high-fiber plant parts like grass and tree leaves. Small amounts interfere with digestion too for that matter, but at a sensible consumption level the beneficial bulking action of the fiber outweighs the modest loss of nutrients. There doesn't seem to be any component of plant fiber that's actually considered to be harmful to any plant-eating life form. It's not hard to find sources on the internet talking about the health benefits of both cellulose and pectin (Livestrong-1, Livestrong-2). In general, cellulose is a sturdy material that does not degrade unless something happens to force a breakdown, like passing through the digestive tract of a ruminant animal or being cooked. This is not the case with pectin; the amount of pectin rises and falls as the plant goes through its normal biological processes. "Pectin is a fibrous carbohydrate that helps plants, including fruits, maintain their structure. It is found in the rapidly growing areas of plants, particularly in the cores and peels of fruits. As fruits ripen, pectin develops. Under-ripe fruits have pectose, or protopectin, which eventually turns into pectin. Some fruits are high in pectin, others are low in pectin... When unripe, all fruits have pectin. However, when they turn ripe, many retain some pectin while others lose almost all of their pectin. Because overripe fruits have very little pectin, jam and jelly makers tend to avoid overripe fruits, using just-ripe fruits, and unripe fruits in a minimal capacity." Scientific sources agree that pectin degrades as fruits ripen (Huber et al, Annals of Botany). This pectin degradation is part of the softening process that occurs as fruit ripens (Paniaqua et al, Ali et al). A similar breakdown of pectin also occurs in deciduous plants and is involved in making the leaves fall (Morre). There's not too much information on the exact amount of pectin in these fruits, although SF Gate gives the statistics for a few. Some vegetable have more pectin than some fruits. The high-pectin vegetables include carrots, peas, potatoes, parsnips, green beans, tomatoes, legumes in general, and even cornflakes (Livestrong-1, Livestrong-2). 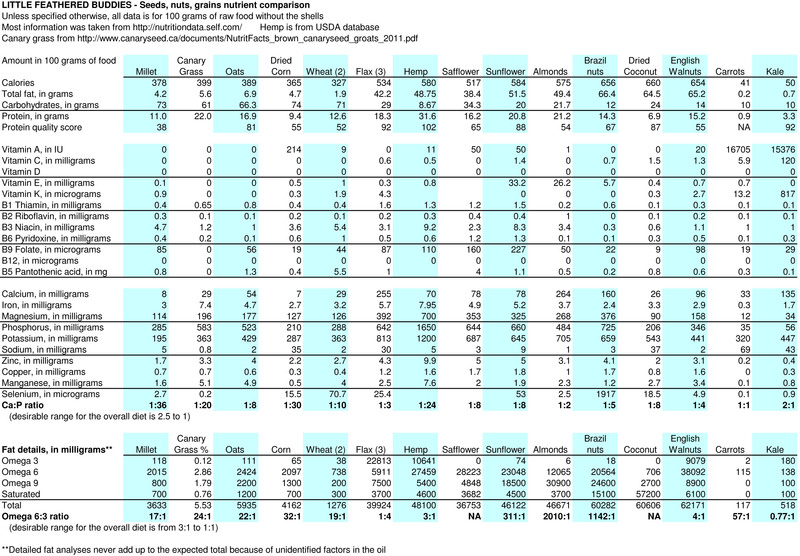 Apparently rice has a fair amount of pectin too (FAO, see Table 18). NutritionData doesn't have information on pectin content but other sources do. SF Gate says that the range of values in high-pectin citrus fruits is 0.24 to 0.76% of total weight. Apples have a very wide range, from 0.14 to 1.15%. So there's the benchmark for what a high-pectin food source looks like. Livestrong gives a value of 0.80% for carrots and 0.60% for peas, which is right up there with the high-pectin fruits. It's hard to find data on tropical fruits but I found a couple of mango studies. Manohar et al reported that the amount of pectin in mango pulp is 3.2 to 3.5% of the dry weight. Fresh mango is 82% water according to NutritionData, which means that the dry matter is 18% of the total. Multiplying the pectin levels by 18%, the pectin content of fresh mango is 0.58 to 0.63% of the total weight. That's better than the jellymakers' rating led us to believe, basically equal to peas but not as good as carrots. Manabe et al reported lower pectin levels of 1.3 to 2.2% of the dry matter in mango pulp. Multiplying by 18% once again, the pectin content of fresh mango is 0.23 to 0.40% of the total. That's significantly less than peas. As high in pectin as carrots are, they're a lot higher in cellulose. The pectin is 7.41% of a carrot's dietary fiber, but the cellulose is 80.94% (Sharma et al). I couldn't find similar data for other high-pectin foods, but it's likely that the percentages of pectin versus other fiber components are similar. If you want to get more pectin into your bird's diet then I recommend offering carrots and peas instead of fruit. They have plenty of pectin - as much or more than mango - and are better for your bird in other ways. Compared to mango, they have less sugar and more complex carbohydrates. The peas have a lot more protein. Both carrots and peas have more calcium and are generally better than mango for other minerals. They also have more Vitamin A than mango, and their overall vitamin content is as good or better. This is not surprising. As mentioned earlier, sweet fruit is part of a seed-dispersal strategy, and the amount of resources that a plant puts into fruit is the minimum that will get the job done. But the plants do NOT "want" animals to eat carrots (which are roots) and peas (which are seeds). The nutrients in these plant parts are for the plant's personal use, and it doesn't pay to skimp on that. For detailed information, see NutritionData's profiles for carrots, peas, and mango. Be sure to change the serving size to 100 grams in each case so everything is on the same scale. Consider using sprouted or cooked peas instead of raw. Eating raw peas is generally considered to be safe for humans, but like all legumes and beans they contain some toxins, and sprouting or cooking will eliminate it. Experimental evidence. The scientific evidence can be summed up this way: an appropriate amount of any kind of fiber is beneficial, and too much of any kind of fiber is detrimental. When the fiber level is too high, it physically gets in the way of nutrient absorption, and it can also interfere with nutrient absorption by changing the transit time of food through the digestive tract. It's not clear where the notion came from that cellulose is bad for birds. My best guess is that somebody somewhere read about poultry experiments finding that cellulose supplements are detrimental because they push the birds' diet into "too much fiber" territory, and did not realize that there are similar experiments finding that pectin supplements are also detrimental for the same reason. Too much fiber causes problems, and it doesn't seem to matter which specific type of fiber it is. Most of the bird-related scientific literature on pectin involves poultry, and it mostly talks about the negative effect that pectin has on the absorption of nutrients not any beneficial effect (The Living Gut, Langhout et al, Day & Thomas, Wagner & Thomas). These studies involved pectin supplements, not the natural amount of fiber present in chicken feed (which does not normally include fruit). The poultry experiments were aimed at finding a supplementation level that would improve performance, but they found that supplementation was detrimental not beneficial, with one very limited exception. Silva et al found that for broiler chicks, pectin increased the utilization of nutrients in the starter phase (the first 6-8 weeks of a chicken's life), and they specifically stated that the pectin was beneficial because it slowed down the transit time of food. But the extra pectin was detrimental after the starter phase because it interfered with nutrient absorption. I haven't looked too seriously for cellulose studies, since I expect an excessive amount of cellulose to be just as detrimental as an excessive amount of pectin. But I did find a study by Shakouri et al in which cellulose supplementation improved the growth of broiler chicks and pectin supplementation impeded growth. It specifically identified the slower passage rate caused by the pectin as the reason for the diminished growth, because it reduced the birds' feed intake. This is the precise opposite of the Silva study's findings. The Shakouri paper says the apparent reason that cellulose improved the growth of the birds is because it increased their feed intake by increasing the passage rate of food. Whatever the reason, it is obvious that the birds supplemented with cellulose in this study absorbed more nutrients than the ones supplemented with pectin. The full Shakouri paper is available online, and it lists several additional studies finding that pectin supplementation had negative effects. But don't take either the Shakouri or Silva studies too seriously, because it's likely that both of them are anomalous in different ways. Most poultry studies found that supplemental fiber is detrimental to nutrient absorption and there are obvious reasons why this would be true. Fiber in the wild. It appears that wild seeds and fruits may be higher in both cellulose and pectin than cultivated food. If this is true, it is not surprising. Farmers have spent the last few thousand years selectively breeding plants to improve their edibility, and making them less fibrous would improve their digestibility in addition to making it less of a chore to chew them. "Because MEC's [Metabolizable Energy Content] of wild seeds tend to be lower than for cultivated seeds, we might expect that wild seeds have higher cell wall contents. In fact, the amount of crude fiber in 20 species of seeds in southern forests appears to be about four times greater than in commercially available seeds. Possible differences in chemical makeup and hence digestibility between wild and domestic seeds merits further study." Wild fruit is also harder to digest than cultivated fruit, and pectin is one of the suspects but not the only one. "Surprisingly, many MEC's [of wild fruits] fall below the predicted range... If fruits have a large amount of pectin, gums, or mucilages, then use of NDF to estimate R will result in overestimation of MEC. This applies to herbage and seeds as well, though possibly to a smaller extent because soluble fiber tends to comprise a smaller proportion of total fiber in cereal products and vegetables... fruits may contain secondary chemicals that might reduce utilization efficiency." (1) wild parrots choose foods mainly according to their calorie and protein content, and are not known to seek out food based on its vitamin content. The foods that we call vegetables are generally high in vitamins and low in protein and calories. Parrots enjoy shredding vegetation for fun and it's likely that some of it gets eaten, but the nutritional profile of a typical vegetable is not what wild parrots are really interested in. (2) Green vegetation like leaves and grass tends to be so high in fiber that special digestive equipment is needed to get very many nutrients out of it, and parrots do not have this equipment. Humans have successfully identified and/or developed a number of green plants that are low enough in fiber to be digestible for both us and our pet birds. But the vegetables that we find in the grocery store are not typical of what's available in the wild. (3) Some root vegetables and tubers might be high enough in calories to appeal to a wild bird, but a food source that's hidden underground is not easy to discover. Nevertheless, some cockatoo species have discovered that there's food to be found under the ground, and will dig for tubers and corms. The bulbs of onion grass (Cyperus bulbosus) are a particular favorite. Humans have also discovered the food value of onion grass bulbs, and it's an important traditional food of the Aborigines (Australia SOE, Aboriginal People and Their Plants). Its nutritional content is closer to potatoes than to kale (MyFitnessPal). Descriptions of a wild parrot's diet tend to include things like seeds, fruits, and insects. As discussed earlier, a lot of the so-called fruit eating is actually aimed at eating the seed not the fruit pulp, and much of the fruit pulp that does get eaten is high-fat fruit not high-sugar fruit. Sweet fruit is an inferior source of nutrients compared to many of the other foods that are available to wild parrots. It's reported that a number of wild parrot species eat flower buds and leaf buds, but this may not be as vegetable-like as it seems at first glance. I couldn't find any information on the calorie content of leaf buds, but it's widely reported that leaf buds and young leaves contain considerably more protein than mature leaves. In at least some cases, leaf buds can contain more protein than the highest-protein seeds (Thrips Biology and Management). Young leaves (and presumably leaf buds too) tend to contain less fiber than older leaves, making them more digestible. I couldn't find any information on how much of a difference there is in the fiber content. The plant species makes a difference though, because some are apparently more digestible than others. Even primates evolved for a leaf-eating diet are very selective about the age of the leaves they eat and the plant species whose leaves are eaten (Matsuda et al). It seems likely that the parrots who are eating leaf buds are seeking them out primarily for their protein content, and are only eating the ones that are most digestible. Flower buds are also a rich source of protein (White). Eating unripe seeds from a pod is probably comparable to eating peas in some cases, and this is something that wild parrots do. But we won't hear it described as vegetable eating, even though we might think of it that way. It will be classified as seed eating in ordinary language or as fruit eating in botanical terminology. Even though wild parrots may not have much interest in vegetation that is low in calories and high in vitamins, foods of this type have a lot of value for pet birds who need the vitamins but not the calories. Our goal is to make sure our birds get all the nutrients they need whether it looks exactly like what they'd eat in the wild or not. Pet birds and fiber. Reliable-looking sources have very little to say about pet parrots and dietary fiber. The little that I could find was less negative than the sources for wild birds, but fell very far short of being a statement that pectin is important to parrot health. Avian Nutrition Resource points out the beneficial action of dietary fiber in general, saying "Undigested plant material such as Cellulose, Pectins and other fibrous material, also help the thickening process [of the intestine's contents]." In good news/bad news fashion, Petzinger & Bauer found that for companion birds, "Pectin in the diet decreased the occurrence of atherosclerosis but also decreased the availability of nutrients owing to faster ingesta passage rates. Feed restriction has also been found to decrease the prevalence of atherosclerosis in birds." The full paper isn't easily available, but the wording suggests that they're talking about a pectin supplement, not feeding natural fruit. It would be a major scientific sin to feed more fruit and then just take for granted that the pectin in the fruit was responsible for any differences. Dietary fiber in general, and pectin in particular, appears to have a protective effect against atherosclerosis in humans (Wu et al) and in birds. It appears that pectin has this effect in birds BECAUSE it interferes with nutrient absorption (Fisher et al). There is a strong link between obesity and atherosclerosis, and pectin causes less uptake of fats. This disruption of calorie intake is a problem for wild birds and for the poultry industry, but may not be such a bad thing in an overfed pet. But unfortunately pectin also interferes with the uptake of more desirable nutrients, so it's not entirely beneficial even in pets. Both pectin and cellulose can be digested to some degree by some of the bacteria in the gut. There are other components of fiber that are more bacteria-digestible than either one of them, and are considered to be prebiotics (substances that support the population of beneficial bacteria in the gut) (Miguez et al). But pectin appears to be more digestible than cellulose, and may therefore have more of a prebiotic effect. So it may have a minor benefit in this respect. This beneficial effect on atherosclerosis was the only advantage of pectin supplements over other fiber supplements that I could find. It is NOT desirable to add any kind of fiber supplement to the diet of pet birds, so this is a moot point. There's no indication that eating fruit is more beneficial for atherosclerosis than eating vegetables. As mentioned earlier, all plants contain both pectin and cellulose, and the amount found in both vegetables and fruits is beneficial. Strange contradictions. There are anti-vegetable pro-fruit sources that promote the use of wheat grass, which is 28-29% fiber (NutritionData, Feedipedia), and alfalfa, which is 27-28% fiber (Feedipedia, Livestrong). These plants have five to ten times more fiber than the vegetables humans normally eat, and this fiber is expected to be more cellulose than anything else with a relatively small amount of pectin. NutritionData says that kale is 2% fiber, broccoli and carrots are 3%, and peas are 5%. Just for the record, mango is 2% fiber. If you're trying to avoid a lot of cellulose then wheat grass and alfalfa are the wrong way to go. Even fan sites like the Rawtarian and the Wheatgrass Grower's Guide advise against eating fresh whole wheat grass because it's got too much fiber to be digestible, and they're talking about young wheatgrass harvested when it's 4 to 6 inches tall (Wheatgrass Grower's Guide). Side note: Alfalfa is considered to be a good-quality high-protein food for animals that can digest it, and it's one of the rare plants that contains Vitamin D. But it's considered to be a poor food source for poultry, since birds don't digest it well and alfalfa contains saponins that interfere with poultry performance (Feedipedia, under the Nutritional Aspects and Nutritional Tables tabs). Chickens have large ceca and parrots don't, so it's likely to be even harder for parrots to digest. Almost all the Vitamin D is ergocalciferol (Vitamin D2) (Horst et al), which is utilized well by humans and other mammals but is poorly utilized by birds. Page 292 of Klasing says "Unless nutrition experiments prove otherwise, it should be assumed that all birds utilize vitamin D2 with an efficacy of less than 10% of Vitamin D3". There is almost no D3 in alfalfa. Alfalfa's low digestibility means that birds can't extract most of the nutrients in it, and most of the Vitamin D that they do manage to extract will be useless to them. So don't look at alfalfa as a good source of Vitamin D for birds. Side note #2: Flaxseed is desirable as poultry feed because it increases the amount of Omega 3 fatty acids in the eggs and meat of chickens that eat it. But it's 29% fiber (NutritionData) so digestibility issues are expected, and it has a high level of pectin-like polysaccharides which impair poultry performance if a large amount of flaxseed is fed. Therefore it is recommended to feed flaxseed as no more than 10% of the diet (Feedipedia under the Nutritional Aspects tab, Apperson page 51). Flaxseed is often used in parrot diets to improve their intake of beneficial Omega 3 fats. Click here for information on increasing the digestibility of flaxseed.